This is the first ever guest post on Patient Speculation and with the Cheltenham Festival just around the corner, I believe it to be a real scoop for my blogs readers. 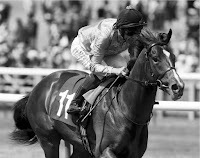 The post is written by Cathryn Fry co-author, with Jonathan Pollinger, of the extremely informative and profitable to follow CHELTENHAM FESTIVAL PREVIEW 2011 - JP FESTIVAL blog . I would encourage all of my bloggers readers to pay the site a visit, not that you will need much encouragement after reading this great article looking at all of the main contenders for this year’s Cheltenham Gold Cup. Look high above Prestbury Park to the pylons on Cleeve Hill; it is there that a Horse race called The Cheltenham Gold Cup first took place in July 1819. It was a flat race run over three miles, won by a horse called Spectre who collected 1,000 guineas for his connections. Fast forward to March 12th 1924 when The Cheltenham Gold Cup was first run as National Hunt Race at Prestbury Park for a purse of £685 and won by Red Splash. Now here we stand in 2011, the 45th anniversary of Arkle’s third Gold Cup, since then we have seen: L’Escargot twice victorious in the 1970’s, the golden era of the 1980’s which gave us Michael Dickinson’s famous five; the magic mare Dawn Run and the flying grey Desert Orchid who both sent the grandstand roof into orbit! The 1990’s that began with the fairytale of Norton’s Coin and ended with See More Business. The early noughties were dominated with Best Mates three wins and closed with the early years of the Kauto and Denman show. The picture to this year’s Gold Cup seems to change daily, only this past week have we seen Diamond Harry go on the injured list, news from Ireland that Joncol has failed to recover from infection in time and an announcement that last year’s Ryan Air Chase winner Albertas Run will more than likely contest the Gold Cup than defend his crown in the Ryan Air. It’s the most open Gold Cup for a good few years; here’s a look at the major players. Imperial Commander: 2010 winner who absolutely loves Cheltenham. We haven’t seen him in a race since he won the Betfair Chase at Haydock in November in which he suffered a near career ending cut to a leg. Has had two Racecourse gallops since and connections are extremely confident he can retain his crown, thoroughly entitled to be favourite. Kauto Star: An absolute legend. Many a grown man will have tears streaming down their faces if he was to win again. He became the only horse to regain his crown in the 2009 renewal after winning in 2007 and being defeated by stablemate Denman in 2008.His huge heart and pure class carried him into third place in the King George behind the young legs of Long Run after a shuddering mistake when trying to rally. He was found to have been suffering from a minor infection post race and also suffered a bleed. Is age catching up with him? You have to say yes. It would be a tale of Disney like proportions were he to win. He has already cemented his place in the book of all time greats and owes us nothing. Denman: The word legend applies readily again! Put up a truly admirable weight carrying performance in the Hennessy last time out when finishing third to Diamond Harry. Awesome winner of the Gold Cup in 2008; a heart operation, a second Hennessy victory under top weight, twice runner up in the Gold Cup and a recent wind operation have all followed since. Like Kauto you have to say that maybe his best days are behind him, but he is one hell of a fighter and it would be a surprise if he were to finish out of the first three. Long Run: Don’t get me wrong I really like this Horse; I just don’t think we see the real Long Run at Cheltenham. To me he is a flat track horse through and through who also needs cut in the ground to be seen at his best. I won’t say anything stupid like if he wins I will paint myself green and effectively streak across the top of Cleeve Hill because stranger things have happened!! I just can’t see him winning a Gold Cup, his performances in last year’s RSA and the Paddy Power Gold Cup tell a big story, his class took him into the placings. He was breathtaking at Kempton and the thought of him flying the Mildmay Fences at Aintree has me salivating but the contours of Cheltenham are totally different. Pandorama: Irelands leading staying Chaser, evidentially requires soft ground to be seen at his best. Commands huge respect with four Grade One wins to his name. Impressive winner of the Lexus Chase at Leopardstown over Christmas then missed the Irish Hennessy with a bruised hock. Is by all accounts in great form now. Both War of Attrition and Denman took the Lexus en route to Gold Cup glory. Pandorama has won nine of his last eleven races and has to be taken seriously. Kempes: Irish Hennessy winner who was also travelling well in the Lexus before unseating A.P McCoy. One interesting stat is that if Kempes were to win he would be the first winner since 1979 (Alverton) that started his career on the flat. 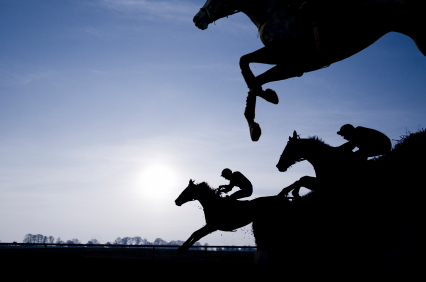 Is improving all the time and The Mullins stable has been firing out winners left right & centre since Christmas. Connections feel he will be even better on good ground which he is likely to encounter at Cheltenham. Fully deserves his place in this line up. Midnight Chase: Has rightfully earned the title “Cheltenham Specialist” In the past calendar year he has won at Cheltenham in April/October/November and December. The last two wins have come at Grade Three and Listed level. Is he classy enough? I’m going to say yes! He is the wild card that could spring a shock! Utterly genuine and as tough as teak. Albertas Run: Has to be one of racings most underrated Horses; victor of the 2008 Reynoldstown Chase, the 2008 RSA Chase, 2010 Ryan Air, 2010 Melling Chase and the winner of the now defunct Order Of Merit in 2009/2010. Even with all this in mind I feel his best chance would be going for a second win in the Ryan Air. He has tackled the Gold Cup before, finishing ninth to Kauto Star in 2009. Absolutely no doubt that he acts at Cheltenham but is this asking too much? Tidal Bay: If he was human he would surely be in the care of a Psychologist?! Has major talent, has won an Arkle Chase and a Cleeve Hurdle. Absolutely flew up the Hill to finish second to Neptune Collonges when finally agreeing to put his mind to matters in the Argento Chase. Who’s to know what he will do on the day, he will either love it or hate it! Expect to see jockey Brian Hughes giving him a few reassuring pats mid race. Impossible to write off and Impossible to predict what he will do!